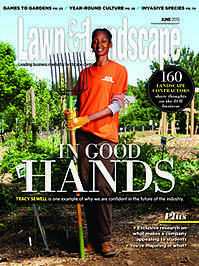 Lawn & Landscape Magazine is a significant resource for business owners within the green industry. The November, 2014 issue offers case studies, guidance and comparative studies ranging from how much to pay yourself, to varied strategies for growing your business. Setting benchmarks, monitoring labor costs and estimating revenue generated per employee are all considered. Join this invaluable discussion with tips from the experts on growing your business with Lawn and Landscape Magazine on this week's #Landscapechat on Twitter. Join @CoronaTools and partner Lawn and Landscape Magazine Digital Content Manager, Kate Spirgen @LawnLandscape for #Landscapechat on Wednesday, January 7, 2015 at 11 a.m. P.T.or 2 p.m. ET. This is the Twitter chat where we come together with green industry experts and fellow landscape tweeps, each week to discuss all things related to landscape, since 2011. Owners' Earnings - Jim Huston, reknowned columnist and consultant, offers monthly salary guidelines for owners of companies of various sizes, with advice on how much to pay yourself. Setting and Examining Benchmarks - Review labor, equipment and time issues during this chat and employee revenue targets. 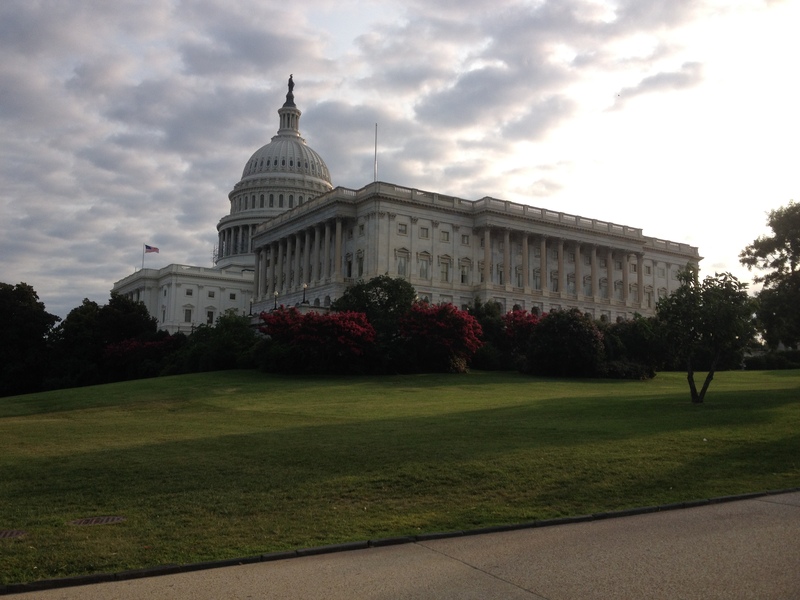 Discussion of how to pay - Case studies for monitoring labor costs. Consider paying by the job instead of by the hour, and evaluate the applicability of piece-rate to your employees. 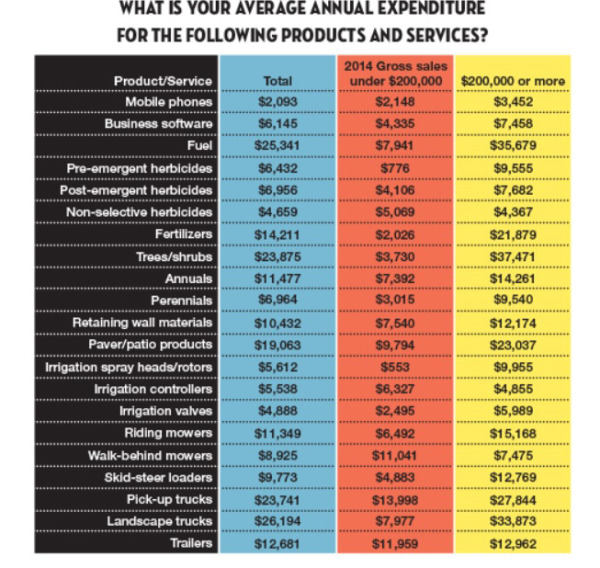 The water irrigation issue of the July 2014 Lawn and Landscape Magazine spotlights companies who are making the switch from landscape maintenance to water management. Traditional landscaping services are drying up, while at the same time, other clients want water conservation efforts and they’re willing to pay for them. The market is there and it makes sense to make the transition in order to stay in business. Services such as subsurface drip irrigation and rainwater harvesting can have margins of 30 percent, an attractive incentive to go with the flow. Joint the discussion of options on this week's #Landscapechat on Twitter. Join @CoronaTools and partner Lawn and Landscape Magazine Brian Horn @LawnLandscape for #Landscapechat on Wednesday, September 3 at 11 a.m. P.T.or 2 p.m. ET. This is the Twitter chat where we come together with green industry experts and fellow landscape tweeps, each week to discuss all things related to landscape, since 2011. 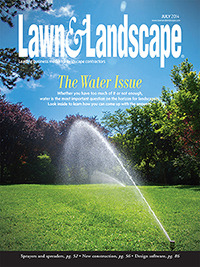 Editor Chuck Bowen asked "some of the smartest water people I know just what water means for the landscape industry now and in the future." Demands from the West Vast reserves of freshwater that sit just north of his home state of Ohio are under constant threat of being trucked or sucked west. Enviroscape in Calif. shifted the focus of his company from traditional landscaping to water management and now approximately half of his revenue comes from such services as subsurface drip irrigation and rainwater harvesting. Lambert’s in Texas installed a 20,000-gallon cistern to catch the water pouring off the roof. It uses that water – instead of the city’s – to mix its fertilizer blends, saving approximately $800 a month. Garden Works in Calif., includes water management as part of every client contract. Creating the water management program, training staff and earning certifications took about seven years to implement company-wide.